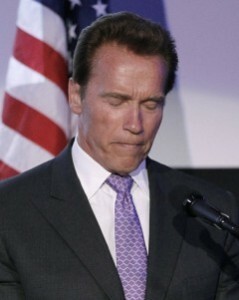 Arnold Schwarzenegger admits he fathered a child out of wedlock and the media goes wild. Important stories take a back seat as the seedy details of Schwarzenegger’s affair are revealed. Once again, the public is subjected to the boring (yes I said boring) day by day findings similar to a scavenger hunt. I imagine reporters everywhere fighting for the tidbits that will get them some credit for a sleazy, tabloid like column. I am sure that I am NOT the only person on this planet who doesn’t give a hoot what this man did and would prefer not to have to read about or hear about it. Recently our local paper had an anniversary announcement about a couple married 70 years. It’s too bad that stories like that don’t make front page news.